A complex, compressed, highly suggestive assemblage, this exhibition deftly lays out the strange tale of West and East during the Cold War, and their embattled embrace, as manifested at the level of material dreams – how buildings, furniture, fashion, film sets and even tea sets embodied, far beyond conscious calculation, the hopes, fears and jealousies of planners and propagandists on both sides. It takes us from the haunted, exhausted austerity years of war memorial and shattered-city rebuild; through the 1950s thaw, when both blocs strove to entice one another’s citizens via the most gleamingly accoutred kitchen; into the near-absurdist high optimism of the space race; then the fuel-straitened comedown in the 1970s, as sci-fi utopias turned baroquely self-doubting and the successor generation flocked to exit the game (what Alexander Trocchi would call the ‘Invisible Insurrection of a Million Minds’). As a sequence of cockpits of world-historical impasse, from the battle of Berlin to the start of the end of oil, ‘Cold War Modern’ maps what may today strike us as a dizzyingly white space. Aside from a lone Korean soldier on a Soviet propaganda poster in the early 1950s, non-Caucasian faces are barely even tokens – until the generational revolt of 1968, when a Mao-suited Mao suddenly arrives in the conversation, alongside a mustachioed Cuban declaration of revolutionary solidarity with ‘all African American peoples’. Suddenly, well heeled paleface kids were refashioning themselves as militant third-world peasants – yet so far from being fomented by the Kremlin, this radical bouleversement had its exact echo in eastern Europe, whose youth elected to be bewitched by the rhetoric of the Official Consumerist Foe. In fact, this sense of hothouse toys-for-boys narrowness is a testament to the show’s rigour. Locked in mortal struggle, the combatants simply assumed the rest of the world shared the utopias they battled for and with, the tussled-over futurism often no more than a ferocious parochialism. What is most striking about this deadly bipolar dance, once you step back and recall everything else going on, is how relentlessly the competition over rival Modernities switched into nerveless closed-loop mimicry. Each side saw its own progress as self-determined, spacious, rational, peace-loving; the opposition’s as lockstep, agenda-led, manipulative, dehumanising. ‘Our’ prosperity was a promise soon and inevitably to be kept, ‘theirs’ a mere comforting distraction and ploy. What is captured here is how internally conflicted was Modernism’s take-up, on both sides. In rhetorics of denunciation or of promise, these inner contradictions present as a maze of unintended effects. Consider the ball form, just one meme among many threading the show: symbol of atoms, planets, mathematical and matriarchal plenitude, technological precision. As you enter, a life-size Sputnik hangs above you, bright robot eyeball with trailing antenna-legs. Menacing the final room hovers its larger echo, Haus-Rucker-Co’s Oasis No. 7: out of a window in Kassell in Germany in 1972, you clambered down into an inflatable sphere, to a hammock slung between plastic palm trees, and gazed out over the city, from an imagined leisure haven that cocoons you from nothing. More bulbous visions: in the years of nuclear dread, agit-prop posters saw mushroom clouds within domed skulls (Herbert Matter’s Atomic Head, 1946). The Eames chairs of the 1950s – conceived with foetal huddle in mind – pullulated into an entire family: as you swung in your Eero Aarnio ‘Globe’ chair (1965) watching a spherical telly, the East German telecom tower glowered down at you from the other side of the Wall, blobbed Sputnik-spawn on a surveillance stalk. Buckminster Fuller invented the hermetic quarantine bubble, and geodesic domes sprouted like modular military puffballs. Fuller dreamed of a vast transparent bug-eye blister over Manhattan (1962), to protect it from soon-come Armageddon; by the 1970s, this idea had been cheekily privatised in David Green’s Inflatable Suit Home, for the irrepressible speculative architects’ collective Archigram. And as we iris out, NASA’s Earthrise image – at once maternal and spooky, our own totality winking back at us from afar – somehow recaps Tarkovsky’s alien planet in Solaris (in Room 5: ‘Space Odysseys’), which speaks to the orbiting cosmonauts by realising their Earth-bound fantasy yearnings. There are many other ways to trace this strange mirror-morphing, in a show this rich and seething. In a secret history of Dada-guided collage, for example, colonising adverts and protest left or right; or in the evolution of a certain passionately scribbled figurative expressionism, in poster art and graffiti down the years, now anti-fascist, now anti-soviet, now anti-capitalist, probably always anti-managerial: humanism as a truculent refusal of abstract squared-off geometry (it is even there in Le Corbusier’s sketches). Or else analyse how avant-garde Ideal Home décor became the mise en scène to the Bond baddie’s lair, a witty objective correlative to the collective 1960s nostalgia for world-threatening villains as evil, as singular and as dementedly idiotic as Hitler. 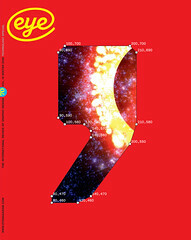 Indeed, monolithic singularity – ridiculous yet inspirational, threatening yet somehow also unreal – is surely what the successor generation, having shrugged it off, most badly missed: certainly the V&A is going to have a tougher time bringing an equivalent clarity and evocative force to the pseudo-pluralist tale of the next 40-odd years. Top: Haus-Rucker-Co’s installation Oasis No. 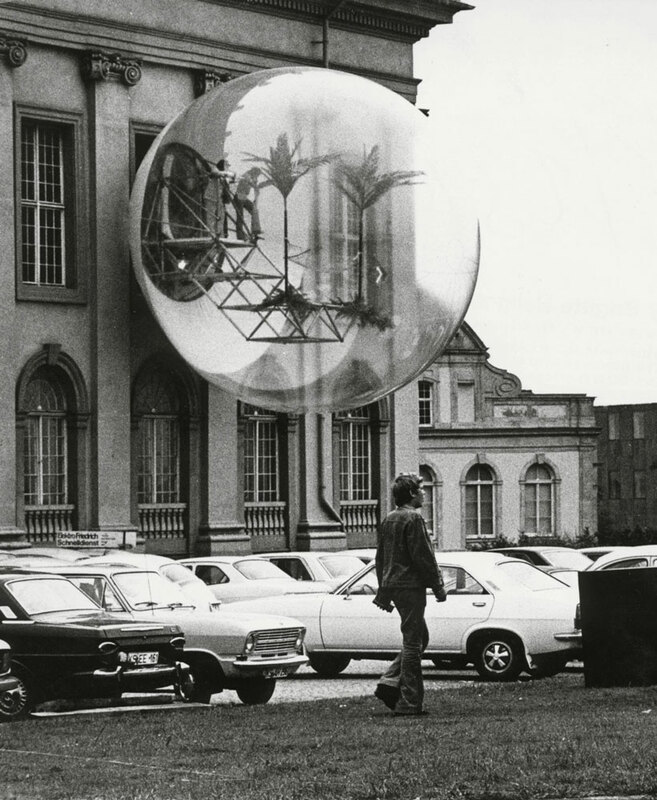 7 at ‘Documenta V’ in Kassel, 1972, a plastic leisure bubble to quarantine you from the world’s ills. Courtesy Archive Günter Zamp-Kelp, Berlin. 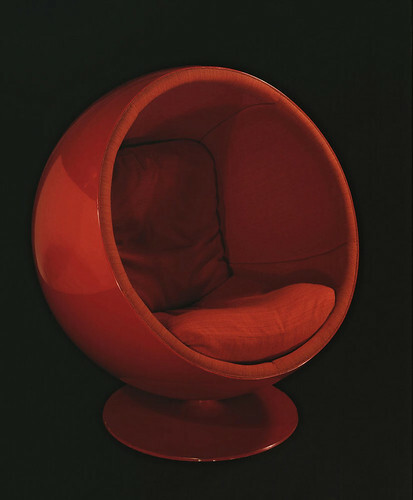 Below: Cold war creations, Eero Aarnio’s womb-like ‘Globe’ chair, in fiberglass and reinforced polyester, 1963.